Every day at your school, a large amount of recyclable material is thrown out. Half of all garbage in schools is generated during two hours – lunchtime. However, it really isn’t “garbage” until you throw it away….streaming materials into recycling avenues, even materials previously considered non recyclable such as food left overs, Styrofoam, juice pouches, chip bags, etc. can reduce waste from school lunch by 90%! • Create a generation of children that are actively involved in recycling and take responsibility for their daily actions. 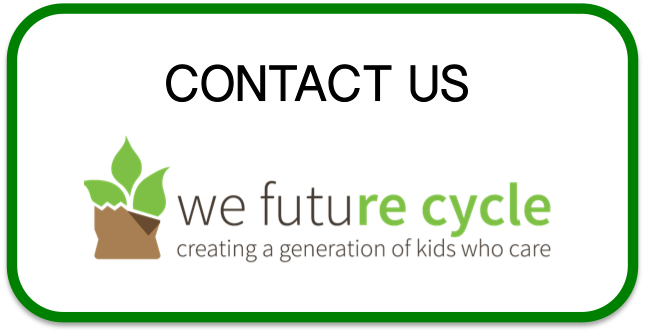 We’d be happy to speak with your School District to devise a We Future Cycle program that works for you. Download the We Future Cycle Flyer, and contact us to schedule a presentation to learn more. Anna Giordano started We Future Cycle after she seeing the daily garbage piles generated at her children’s school and realizing that she had to do something. Anna has implemented School Lunch Recycling at 15 schools in Westchester County by training thousands of children to empty and sort containers into the correct bins. Garbage was reduced from 293 lbs per lunch down to three, a 98% reduction. A concerned mom and business woman, Anna’s vision is to save the world, one school district at a time. Anna can be reached at anna@wefuturecycle.com. Ashley Welde co-founded We Future Cycle with Anna Giordano after seeing the enormous amount of untouched and unopened food that got thrown away at her kids’ school cafeteria. Ashley is motivated by knowing that the earth’s resources are limited, and reclaiming resources through recycling and composting are necessary to leave a habitable planet for future generations. After 20 years as a marketing & PR executive at IBM, MasterCard, and Burson-Marsteller, Ashley decided to leave the corporate world for “greener” pastures! In addition to her We Future Cycle work, Ashley serves on the Rye Brook and Rye Town Sustainability Committees and is VP of the Blind Brook Board of Education. She studied public policy at Swarthmore College and marketing at Columbia Business School. Ashley can be reached at ashley@wefuturecycle.com. Georgina Marek earned a B.S. degree in Natural Resources Conservation and Biology from the University of Connecticut. She also received an M.S. degree in Special Education from Long Island University. From an early age, Georgina was taught about the importance of recycling and treating our planet with care. In all her endeavors, she seeks to incorporate education and environmental concerns. Upon learning about the focus of We Future Cycle on teaching kids and promoting composting and increased recycling in schools, Georgina joined in February of 2016. She loves to travel to our National Parks with her family and marvel at this wonderful Earth! Katherine Husseini is involved with student education and training for We Future Cycle. While living in San Francisco, she saw first-hand the positive impacts on an environmentally conscious community which prioritized taking action to reduce waste. When she moved back to New York, she became passionate about helping to foster a similar mindset in her local community. As a mom of children attending one of the We Future Cycle participant schools, Katherine was an active volunteer in the recycling program for several years before formally joining We Future Cycle in September 2017. 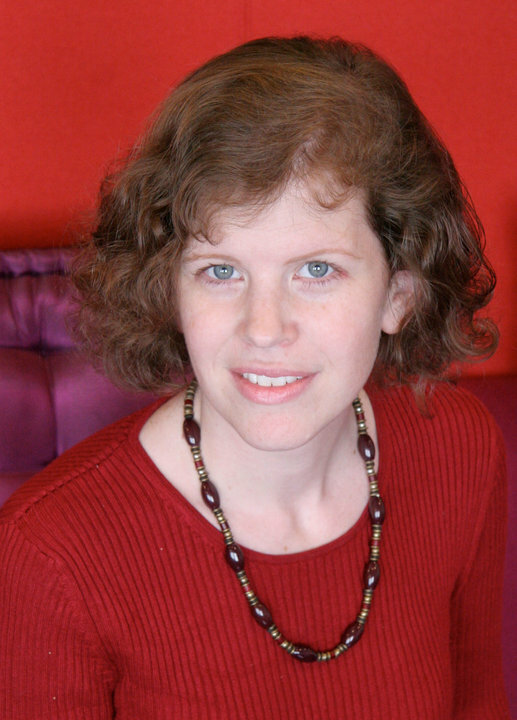 Katherine studied finance at Boston College and lives in Westchester County with her husband, 2 children and dog. Lesley Reidy experienced communications director with a passion for community, education and philanthropic pursuits, Lesley’s experiences align with the mission of We Future Cycle. Lesley has over 10 years of advertising and marketing experience with multi-national companies and is a graduate of Smith College. After a recent move to New York from her native San Francisco, Lesley felt compelled to help bring the sustainable recycling habits she experienced in CA to her new community. As a parent, Lesley helped to implement the successful roll-out of the We Future Cycle program at her daughter’s school in Westchester. This experience inspired Lesley to join We Future Cycle (March 2018) and to support all efforts to bring their programs to other communities. We are extremely grateful to Christina Collins and Brett Collins from Counterspace for donating their time and wisdom to the branding and logo design of We Future Cycle. Thank you!